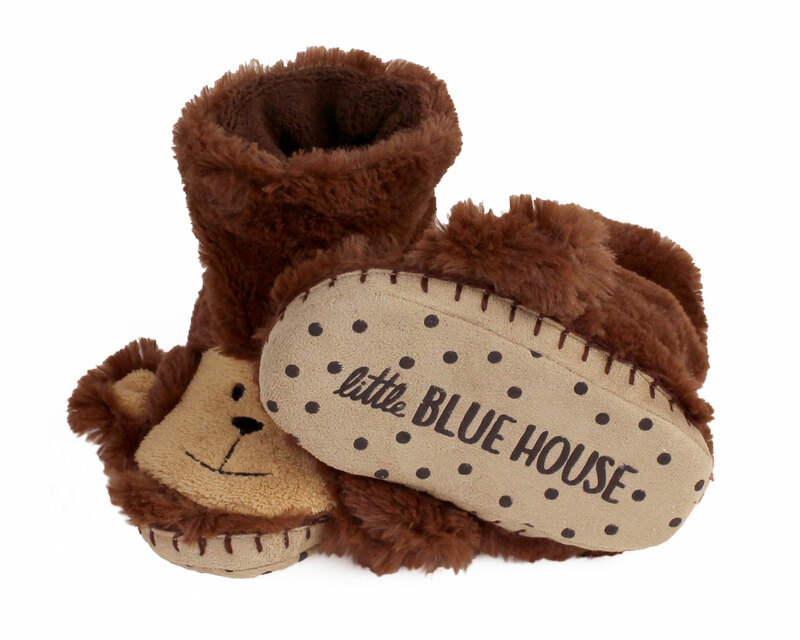 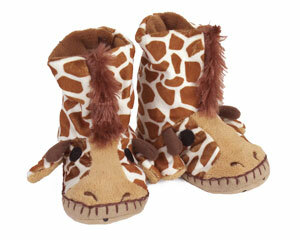 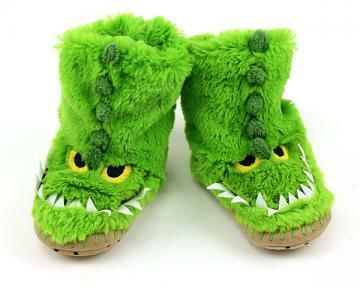 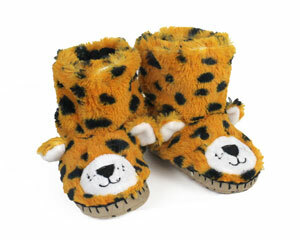 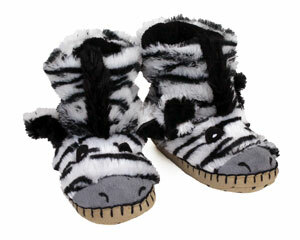 Whether snacking on bananas, or scampering around the house, these soft slippers will keep little toes comfy and cozy! 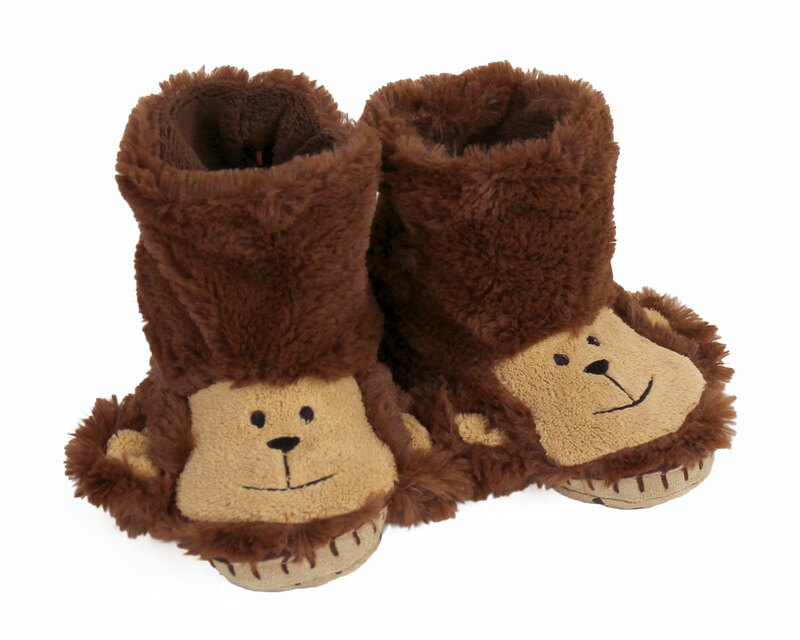 Available in three sizes, you can find the perfect fit for all the mischievous little monkeys in the family. 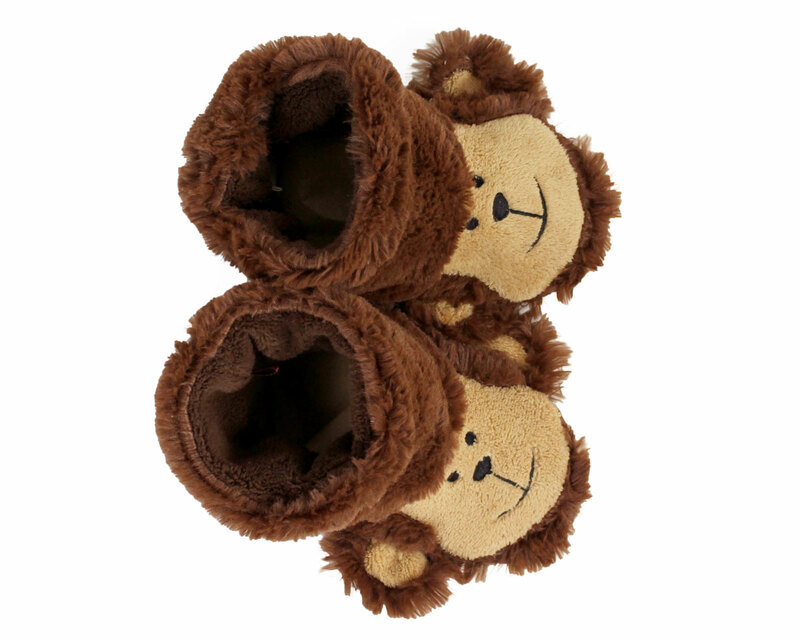 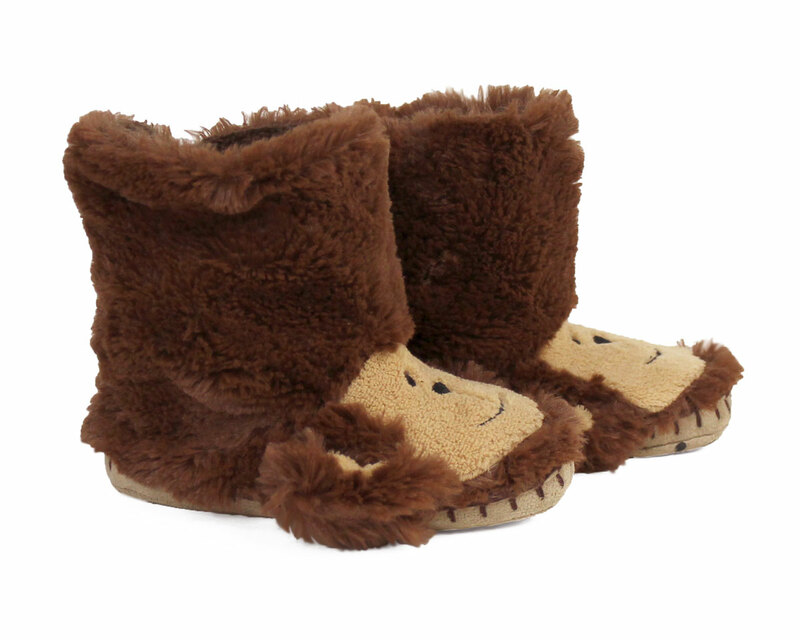 Made with soft brown polyester fur, a warm fleece lining, and faux suede soles with non-slip grips. 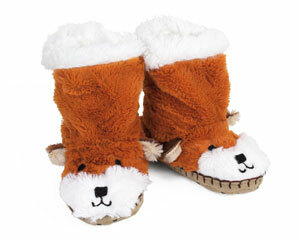 The details on the face are embroidered, and adorable fuzzy ears complete the look.